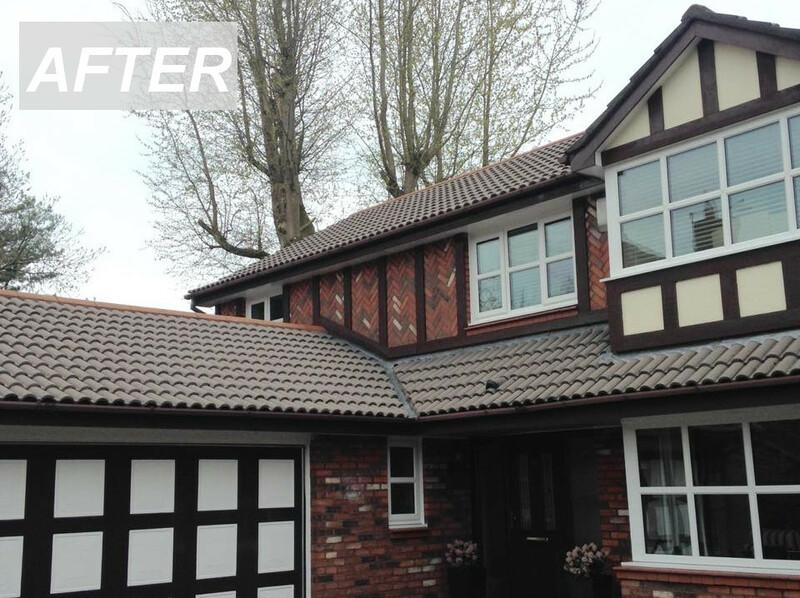 Rejuvenate your roof, conservatory, drive, path, patio, so it looks as good as new. You will be amazed at the difference. After years of exposure to dirt, grime, soot, pollution, moss and mould, the original appearance has long been forgotten. 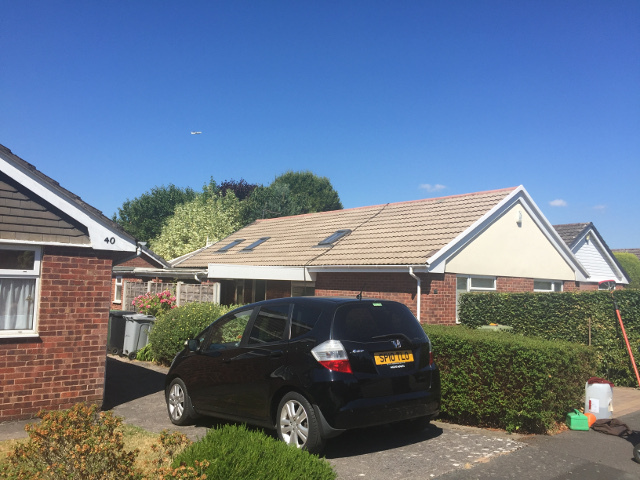 Roof cleaning treatment on a house in Chester. Age and pollutants can leave these areas of your home looking old and dull. 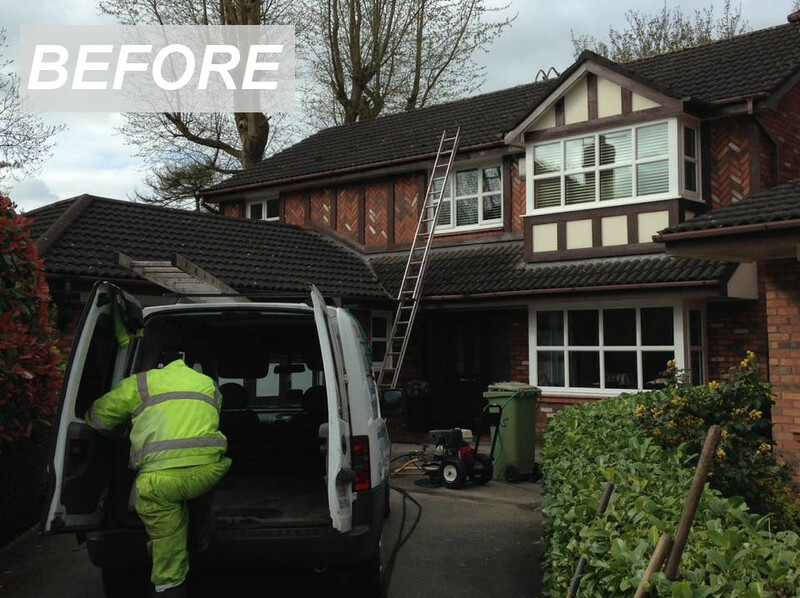 We will restore your roof tiles and slates, paving, tarmacadam or concrete, to look like new by pressure washing. 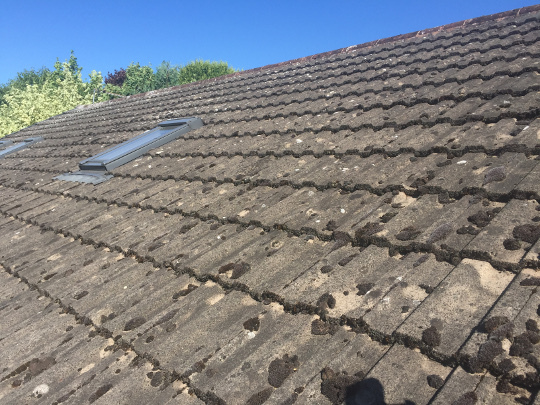 Moss and lichen growths on the roof can cause long term damage. A dirty driveway, path or patio affects the overall look of your home or business, and can become slippery from algea and moss growth. Our process will return it to as good as new. 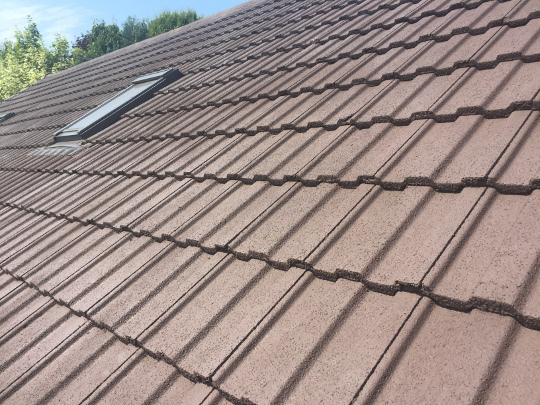 We do not use any chemicals, just mains water. 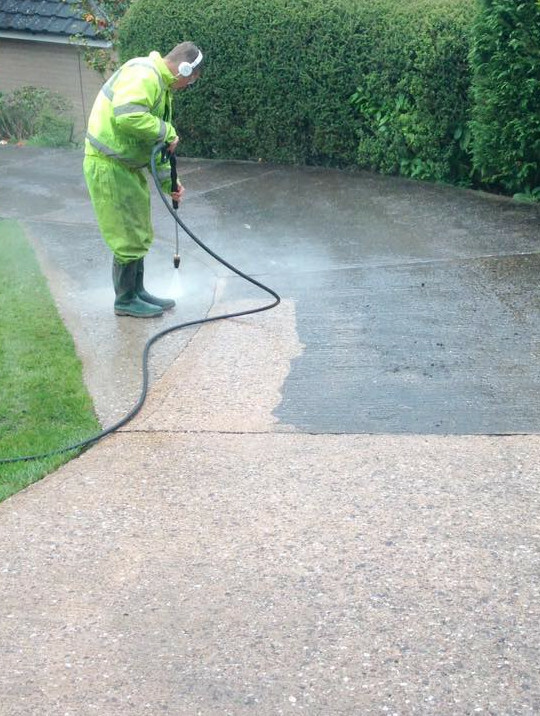 We provide a satisfaction guaranteed driveway cleaning service, plus re-sanding and sealing if required. 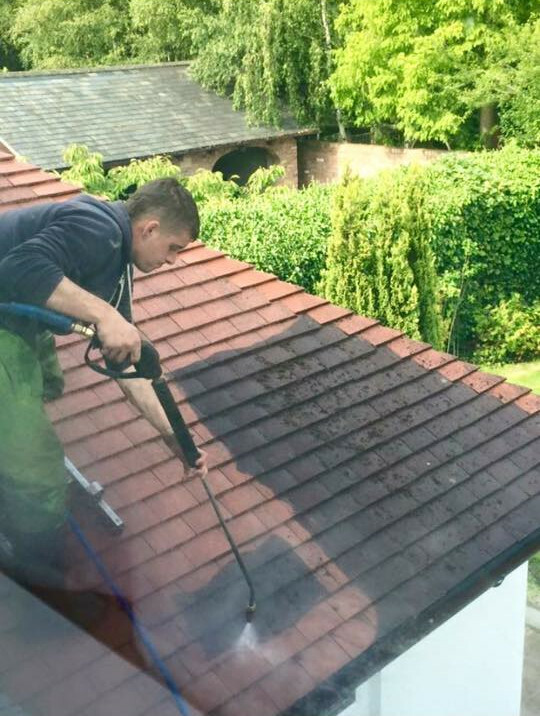 We have also invested in the latest rotary headed commercial pressure cleaning equipment which allows us to work to the highest standards, without fuss, mess and minimal upheaval. 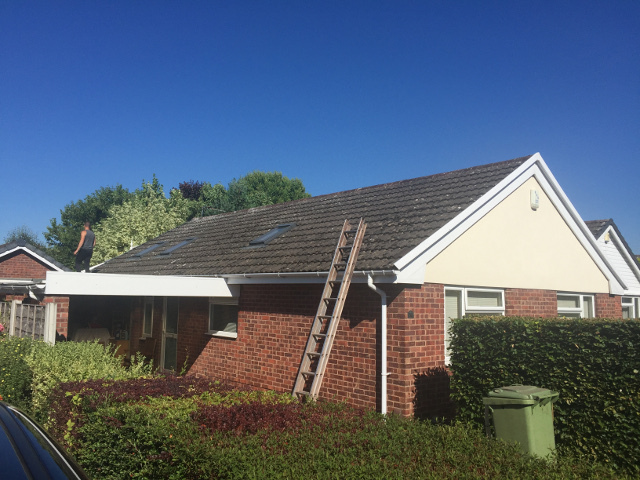 Our processes are powerful enough to remove virtually all dirt, weeds, moss, lichen and algae from any hard surface without damage to the substrate. 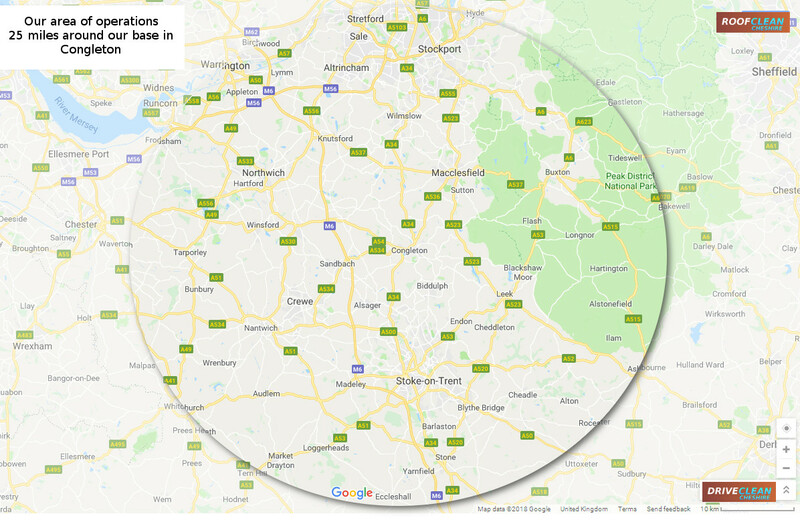 STAFFORDSHIRE: Madeley, Alsager, Stoke-on-Trent, Eccleshall, Bidulph, Leek, Loggerheads, |Cheadle, Alton.